At least 15 presidential candidates were cleared today to run in Zimbabwe’s elections due on July 30, the electoral commission announced. 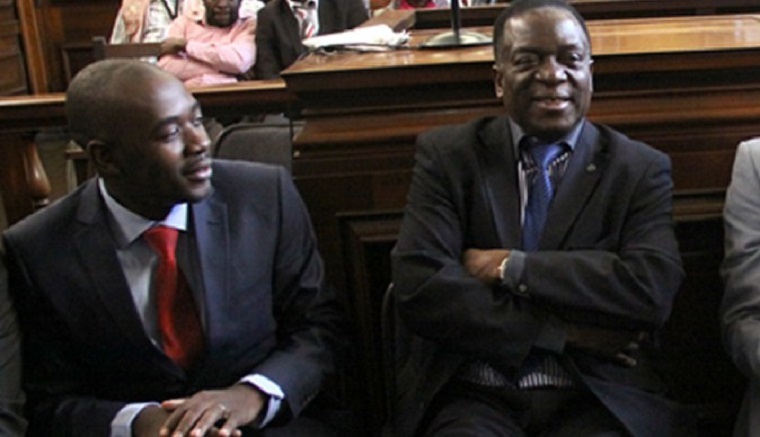 The Zimbabwe Electoral Commission (ZEC) published a provisional list of approved candidates that include President Emmerson Mnangagwa and a young opposition leader, Nelson Chamisa, French news agency AFP reported. The election will be a key test for Mnangagwa, nicknamed the ‘Crocodile’, who succeeded the long-serving autocrat Mugabe seven months ago, and remains untested at the ballot box. He has pledged to hold free and fair elections as he seeks to mend international relations. He has invited Western observers, including the European Union and the Commonwealth for the first time in more than a decade, to monitor the polls. Candidates vying to contest next month’s presidential, parliamentary and local polls had just one day to submit their candidacy to one of several specially convened electoral courts across the country. “I submitted the papers for his excellency honourable Emmerson Mnangagwa,” said Justice Minister and Mnangagwa’s election agent Ziyambi Ziyambi at the Harare High Court. Chamisa’s election agent, Jameson Timba, said the MDC was confident of victory. “Nelson Chamisa has been successfully nominated as the presidential candidate for the coming elections… Chamisa is the next president of Zimbabwe,” Timba told journalists in Harare. The opposition has complained of irregularities ahead of the much-anticipated poll and called for the full electoral roll of voters to be published. They have also demanded that the ZEC be overhauled to have fewer members with ties to the powerful military which is seen as backing Mnangagwa. Compared to previous elections, this year’s vote has attracted more candidates than usual. “This maybe due to a sense of political liberalisation and relative peace as opposed to the highly polarised and violent political contestation between the Mugabe-led Zanu-PF and the MDC,” said Gideon Chitanga of the Johannesburg-based Political Economy Southern Africa think-tank. “The election campaigns have so far been peaceful,” he said. The opposition has also been hugely fragmented. “It is a rather sad reflection of Zimbabwean politics that so many with no chance think they can win. This will split the opposition, the unknown question is to what extent,” said Piers Pigou of the International Crisis Group. A pre-poll survey by Afrobarometer published last week showed that ZANU-PF would attract 42 percent of the vote compared to 31 percent for the MDC, meaning the election could go to a run-off in September . To register successfully, presidential candidates must pay a $1 000 fee and be nominated by at least 100 registered voters from across the country’s 10 provinces.